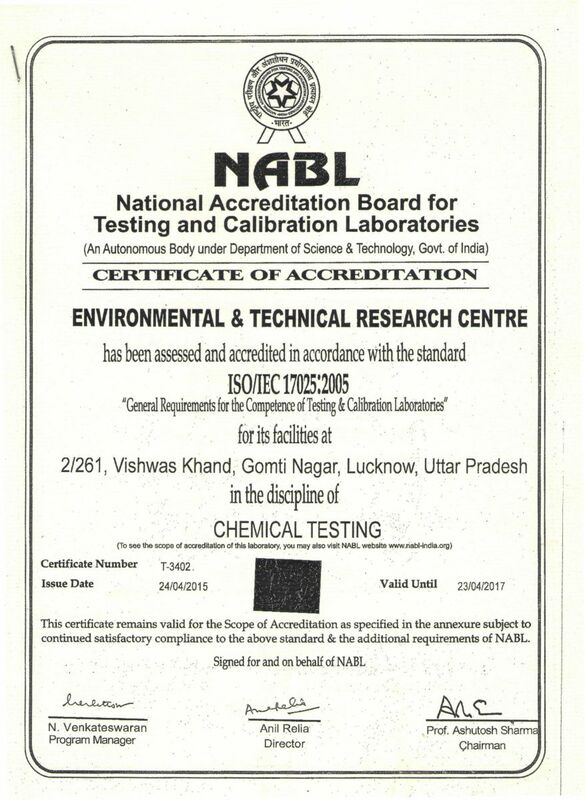 The Environmental and Technical Research Centre,(ETRC) is a Lucknow (U.P.) based company; one of the leading and multidiscipline environmental consulting firms of the region. The company was founded by Dr. Manoj Garg , to provide our clients with a single source to meet all of their needs in the area of pollution control. The Environmental and Technical Research Centre,(ETRC) has been engaged in providing engineering, designing, consulting, permitting and other regulatory compliance services. The Environmental and Technical Research Centre,(ETRC) has successfully completed more than 400 projects for more than 200 clients in the state of Uttar Pradesh. 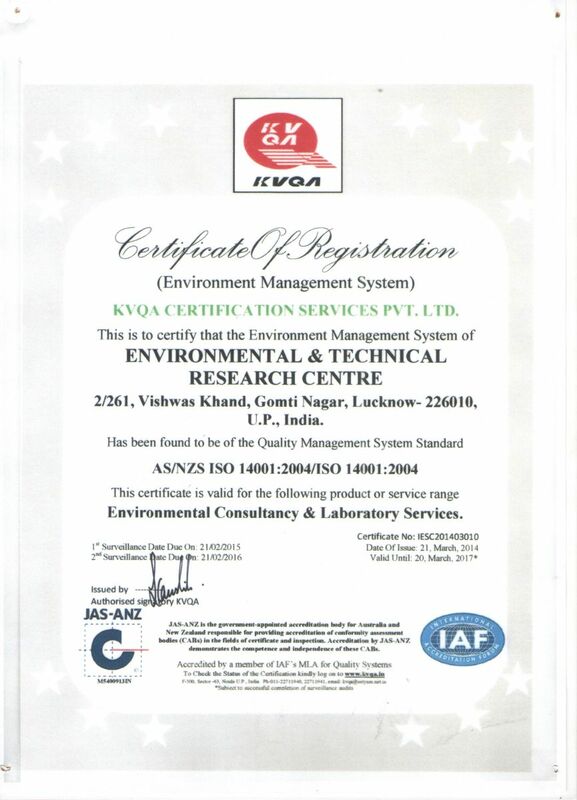 This is ETRC an ISO: 9001:2015, ISO 14001: 2015, ISO 18001: 2007 Certified, NABL Accredited and approved Laboratory from Ministry of Environment, Forest and Climate Change, Gov. 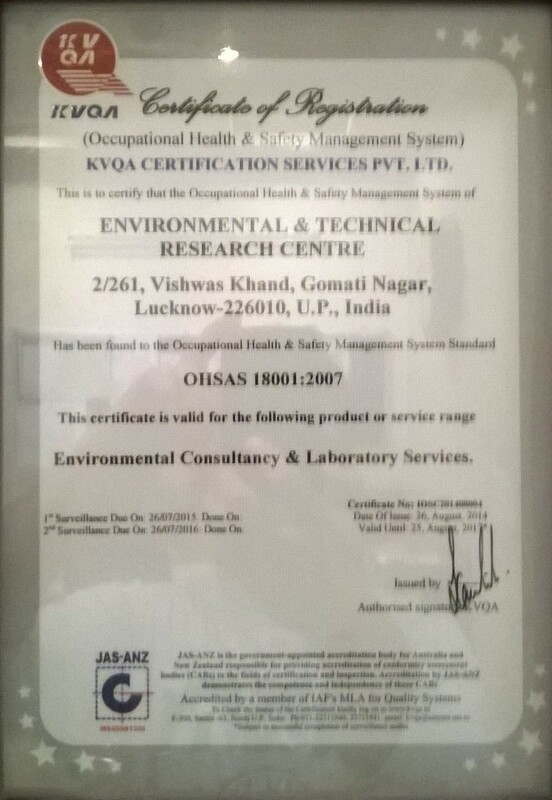 of India under EPA 1986 comes in, by rendering a range of specialty services concerning the Environment. We specialize in providing Environmental Consultancy and Analytical Laboratory Services. Our services include consultancy on Air and Water Pollution, construction, operation and maintenance of pollution control systems, environmental audits, hazardous waste management, environmental impact assessments including biodiversity surveys, environmental monitoring, environmental risk assessments and trainings. We have in our endeavour, been supported by a very rich client base consisting of Industries and other developers. We are an experienced team of professionals "focused" on providing the best Technical solutions to environmental problems. Our company is committed toward satisfaction of our valued clients while protecting our environment through the application of sound technologies. We work towards improving our quality of life, increasing organization values, and provide complete client satisfaction. 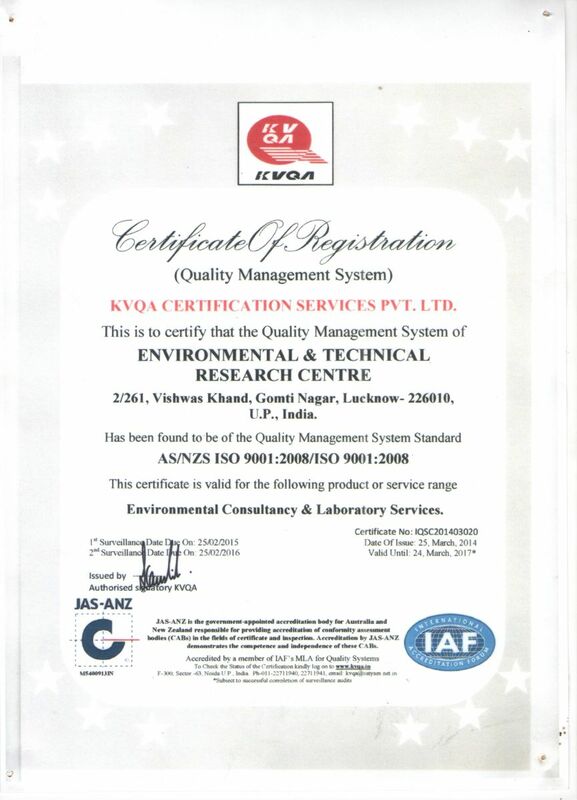 To make an impact by offering world class consulting and laboratory services in Environment & Pollution control devices. "The rapid advancement of science, technology and Industrilisation poses certain crucial isssues. DO economy and Ecology go together ? Yes they do. Through increased productivity, resulting from improved working conditions. Total environment protection to balance nature, is of vital importance."